Ashgabat, 12 July 2015 (nCa) — The summit talks between President Berdymuhamedov and Prime Minister Narendra Modi of India led to the signing of 7 documents in Ashgabat on 11 July. The sides issued a joint statement. DPM Khojamuhammedov (oil and gas) gave a presentation on TAPI, its route through Afghanistan and Pakistan and the progress made so far. Later, the Indian prime minister led the opening ceremony of a Yoga and traditional medicine centre and the unveiling of the bust of Mahatma Gandhi in Ashgabat. President Berdymuhamedov and Prime Minister Modi issued signed a joint statement. 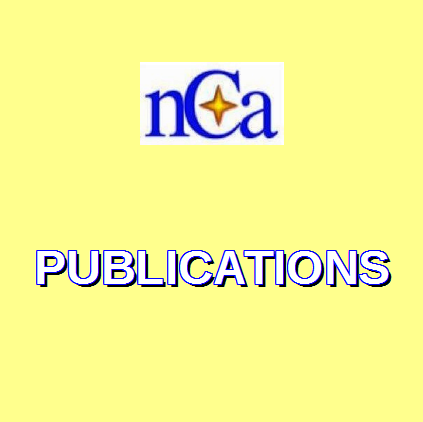 The complete text of the statement is given on page 20 of this Bulletin. Berdymuhamedov and Modi had tete-a-tete which extended about an hour beyond the allocated time. They continued the dialogue in expanded format (1+10) and jointly made press statements. The Turkmen-India relations are based on deep historical ties. The significance of Bayram Khan (an ethnic Turkmen) in the Indian history and the preservation of Turkmen Gate in Delhi are matter of satisfaction for Turkmenistan. Turkmenistan supports many proposals of India on peace, global security and sustainable development. Turkmenistan has supported the candidacy of India in the election of non-permanent membership of the Security Council, and election to other international organizations. India supports the policy of neutrality of Turkmenistan and its positive initiatives in energy security and transport and transit corridors. The sides adhere to the principle of dialogue on the basis of equality. About the situation in Afghanistan, Turkmenistan stand for its resolution solely through political and diplomatic means Turkmenistan is working hard to restore the social and economic infrastrucgture in Afghanistan. Joint projects are being implemented for integration of Afghanistan into the regional and global systems. TAPI of prime importance in this context. As per initial calculations, TAPI will bring afghanistgan about US $ One Billion of annual revenues in transit fees alone. Besides, it will create 12000 new jobs in Afghanistan. Energy, specifically TAPI, is the prime area in bilateral trade-economic cooperation. Work is in progress and the sides are close to the implementation stage. During the last five years great strides have been made in moving toward the implementation of TAPI. The top leaders of Turkmenistan, Afghanistan and Pakistan and the minister of oil and gas of India signed the framework agreement on TAPI in Ashgabat, agreements were concluded on sale/purchase of gas, and TAPI Ltd. was constituted as a special purpose vehicle. The TAPI steering committee met in Ashgabat in November 2014, in Islamabad in February 2015 and in Kabul in March 2015. A meeting was held recently in Dubai. In September this year the results of the TAPI tenders will be announced and the consortium leader will be identified. Turkmenistan is grateful to India for its support at every step of TAPI work. There are great opportunities for enhancing the mutual trade turnover. The implementation of TAPI will not only give boost to the economies of the two countries but will also benefit the entire region. Currently the mutual trade turnover for the last three years has remained steady at around US $ 185-190 million. About 40% of this belongs to the direct trade between the private entities. The encouragement of small and medium enterprises will lead to further growth in trade volume. There is great scope here. Participation in international fairs will also help boost the trade turnover. It will be useful to work out a time-specific programme under the memorandum of understanding between the chambers of commerce of the two countries. The joint Turkmen-Indian commission on trade, economic, scientific and technological cooperation can play important role. Transport is a strategic area for mutual cooperation. Currently the Turkmen experts are studying the proposal of the Indian side on accession to the International North South Corridor, aimed at connecting with the Indian port of Mumbai with the seaports of Iran, and further to the Caspian region and Europe. 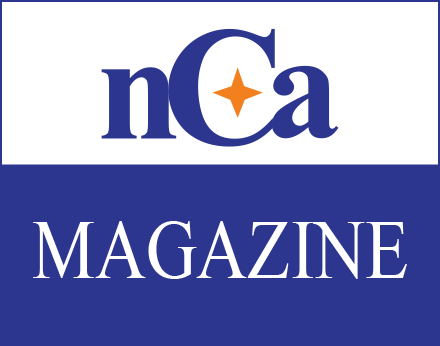 The cooperation in the humanitarian sphere is being filled with new content. The days of culture of India were celebrated in 2013 and the days of culture of Turkmenistan were celebrated in India in 2014. It has become a tradition to hold the week of Indian films in Turkmenistan; this year the Indian film week will be held in Dashoguz city. In March this year the Indian folk group performed in Ashgabat. On 21 June 2015, Turkmenistan marked the World Yoga Day. The Centre for Yoga and Traditional Medicine will be opened in Ashgabat today. There is effective bilateral cooperation in education and science. Since 2002, there is cooperation between Turkmen state institute of architecture and construction and the training and production centre of India, and since 2011, between the Turkmen state university named after Maktumguly has the Turkmen-Indian center of information technologies. There is the department of Hindi language at the Turkmen national institute of world languages named after Azady, where currently 50 students are enrolled. In the healthcare, the Turkmen Ajanta Pharma Limited is working since 1998. 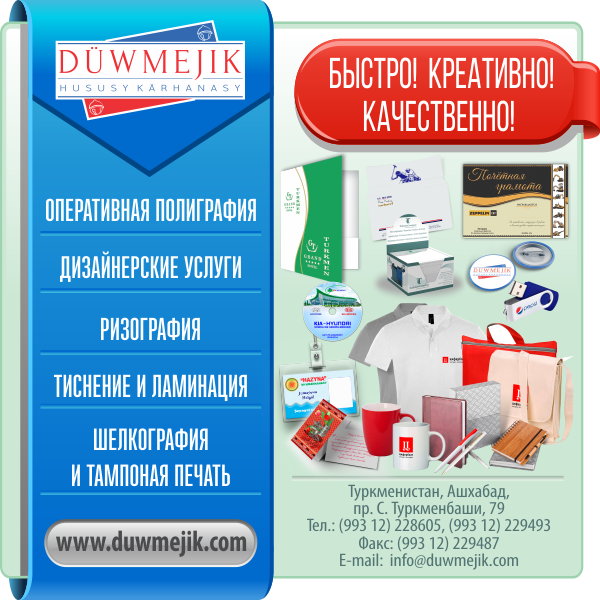 This company produces a wide range of medicines in Turkmenistan. The medical school named after Indira Gandhi is another successful example of cooperation in this area. The intergovernmental agreement for cooperation in science and technology provides for expansion of cooperation in renewable energies, seismology and ecology. 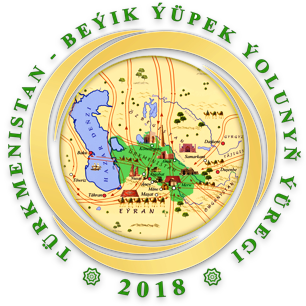 The foreign policy of Turkmenistan, based on its stance of neutrality, is aimed at the development of mutually beneficial relations with all the countries of the world. This year Turkmenistan is celebrating the 20th anniversary of its permanent neutrality. Turkmenistan invited the prime minister of India to take part in the international conference to be held in December this year in Ashgabat. Both Turkmenistan and India are committed strengthening the security in the region and the world, the conflict prevention, and creation of strong political and legal framework for the development of relation between the two countries. Both the countries support the establishment of just international relations, taking into account the interests of all the states. This involves the strengthening of the role of the developing countries in the political relations. We recognize the need of equal and fair relations among States and respect the independence and the rights of the people. Turkmenistan and India stand for peaceful and political solutions to all conflicts and disputes. We note the importance of our cooperation in the framework of Non Aligned Movement (NAM). Because of tense situations in many parts of the world the objectives of NAM are especially important. There is the unanimity to consolidate efforts in combating the new challenges of today including terrorism, extremism, transnational crime and drug trafficking. Turkmenistan invites India to join Central Asia-Middle East (Uzbekistan-Turkmenistan-Iran-Oman) transport and transit corridor. His Excellency Mr President, Members of the media, It is a great pleasure to visit Turkmenistan. I am also delighted to see Ashgabat. It stands on a once thriving trade route since ancient times. It is now a beautiful ‘Ak Shaharim’ or the White City. It reflects your great vision and the nation’s prosperity. Mr. President, I am very grateful to you and the people of Turkmenistan for a very warm welcome and generous hospitality. Our long standing and deep-rooted civilisational and cultural ties are well known. It has created a sense of familiarity and goodwill between our people. It is a strong foundation of close relations between our two countries. India attaches great importance to this relationship. There is enormous potential for cooperation between India, a nation of 1.25 billion people with a large and rapidly growing economy, and Turkmenistan, a nation rich in resources. As India deepens its relations with Central Asia, Turkmenistan will play a crucial role in it. We have shared interests in a peaceful and stable Afghanistan and Central Asia. We also have common purpose in combating terrorism and extremism in our region. Connecting South and Central Asia will open up new economic opportunities in our region and beyond. I thank Mr. President for sharing this vision and for his strong support to the relationship. The most significant initiative in our relationship is the TAPI Gas Pipeline. This could transform regional economic cooperation and bring prosperity along the route. We welcomed the agreements between the four countries for the pipeline. We underlined the need to implement the project quickly. I also proposed to President that we should explore multiple options, including the additional possibility of land-sea route through Iran. I conveyed our interest in long term investment in the energy sector in Turkmenistan. We welcome the decision by ONGC Videsh Limited to open an office in Ashgabat. We had a very positive discussion on India’s interest in investment in downstream industries, including petrochemicals and fertilizer. The Memorandum of Understanding in the fertilizer sector will enable long term arrangements for supply of fertilizers from here to India. Connectivity is an area of priority for both countries. If we use the Iran route, Ashgabat is the first capital we would reach in Central Asia. We are grateful for Turkmenistan’s support to India joining the Ashgabat Agreement on trade and transit. I have also proposed that Turkmenistan becomes a member of the International North South Transport Corridor. Together with the Kazakhstan-Turkmenistan-Iran rail link, and India’s proposed investment in Chahbahar Port in Iran, these initiatives will strengthen connectivity between our countries. Training and human resource development is an important area of cooperation. India will enhance its training scholarship programme. I welcome the upgrading of the Turkmen India Industrial Training Institute in Ashgabat. The agreements on sports and tourism will deepen the contacts between our people. Later today, I will have the pleasure of unveiling the bust of Mahatma Gandhi. It will be a reminder of our shared commitment to the cause of a peaceful, inclusive and a just world. I am looking forward to the inauguration of the Centre of Yoga and Traditional Medicines. It is a tribute to our cultural links. It also gives us opportunities to revive our very old tradition of fruitful cooperation in traditional medicines. I also proposed to him that Ashgabat could be developed as an International Centre for Holistic Healthcare. I offered full support for it. The defence agreement is a reflection of our shared interest in closer security cooperation, including in combating terrorism. I am grateful to President and the people of Turkmenistan for the support in making the International Day of Yoga on June 21 a huge global success. I congratulated the President on the 20th anniversary of the adoption of Permanent Neutrality by Turkmenistan. India acknowledges the contributions of this policy to peace and stability in Turkmenistan and the wider region. Again, Mr. President, this has been a short but very productive visit. I am confident that our relationship will grow in strength in the coming years. I look forward to receiving you in India, Mr. President, in the near future. The Indian prime minister led the opening ceremony of the yoga and traditional medicine (Ayurvedic) centre at the Bagtiyarlyk Sports Complex in Ashgabat. He spoke to the students who are studying the Hindi language at the institute of languages. At the same location he unveiled a bust of Mahatma Gandhi, the spiritual leader of India and a strong proponent of peaceful methods in politics. PM Modi placed flowers at the mausoleum of Turkmenbashy, the first president of Turkmenistan. He also visited the Monument of Independence and planed a tree. 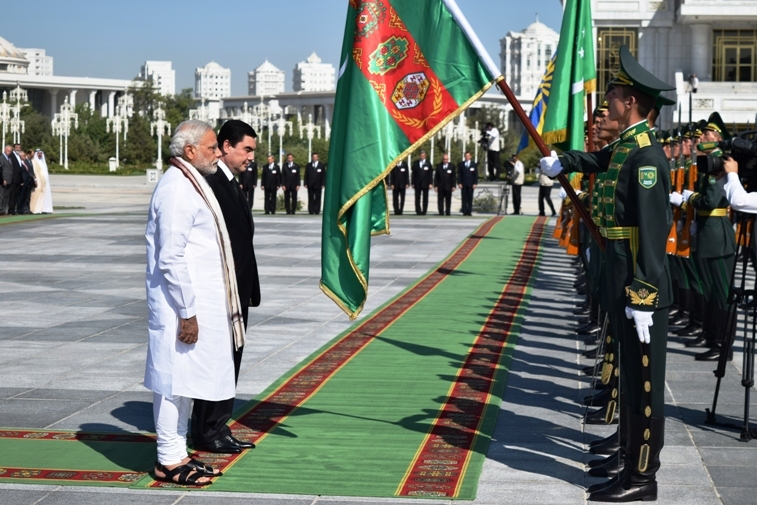 The Prime Minister of the Republic of India, Mr. Narendra Modi paid an official visit to Turkmenistan from 10-11 July, 2015 at the invitation of the President of Turkmenistan Mr.Gurbanguly Berdimuhamedov. During the visit, Prime Minister of the Republic of India Narendra Modi held extensive discussions with President of Turkmenistan Gurbanguly Berdimuhamedov on bilateral relations as well as regional and international issues of mutual interest. The two Leaders expressed satisfaction at the continued development of bilateral relations based on deep-rooted civilizational, historical and cultural linkages and a shared interest in international as well as regional peace and stability. The Leaders noted with satisfaction the increase in high-level exchanges between the two countries in recent years and reiterated the significance of regular bilateral interactions in reinforcing the momentum for cooperation between the two countries. The Leaders encouraged the continued enhancement of exchanges at all levels, including at the level of leaders, ministers, parliamentarians and senior officials bilaterally and on the sidelines of multilateral events. The Leaders welcomed the successful conclusion of the 5th meeting of the Turkmen-India Intergovernmental Joint Commission on trade, economic, scientific and technological cooperation, held in Ashgabat on April 8, 2015. They noted that the Commission had identified new and potential areas of cooperation and called for effective implementation of the decisions made at the meeting. They stressed the need to strengthen other institutional linkages and in this regard, directed their senior officials to hold regular dialogue on bilateral, regional and global issues through existing mechanisms such as Foreign Office Consultations, Consular Consultations, Joint Working Group on Energy as well as establishment of additional mechanisms on mutually agreed issues. The Leaders noted that the nature and rapid spread of international terrorism in the recent years poses one of the most serious global threats today. The Leaders resolved to deepen ongoing cooperation in countering various security threats. They also agreed to step up efforts against cross-border threats such as terrorism, organized crime and illegal drug- trafficking. The Leaders welcomed the signing of the Defence Cooperation Agreement during the visit, which would provide a framework for intensifying bilateral defence and security cooperation through exchanges of high and mid-level visits, training and dialogue between the Ministries of Defence of the two countries and other relevant organizations. It would also enable capacity building and technical cooperation, thus imparting a new momentum to the bilateral partnership in the defence sector. The Leaders acknowledged that despite a steady increase in bilateral trade over the last few years, the trade volumes between the two countries could potentially be increased manifold to the mutual benefit of both countries. Towards this end, the two Leaders agreed to actively work towards rapid enhancement in the levels of bilateral trade, investment and economic cooperation. The Leaders resolved to increase cooperation in various sectors and identified energy, petrochemicals, transport, communications, information and technology, textile industry, chemical and pharmaceutical industry, construction and agro-processing as potential areas for cooperation between the two countries. The Leaders further agreed to create favourable conditions and promote participation of private companies of both countries, including through joint ventures in various infrastructural and investment projects in the two countries. The Leaders reaffirmed their readiness to hold, both in Turkmenistan and India, national exhibitions, business forums and other events involving the business communities of the two countries for facilitating business interactions and linkages between the two countries. The Leaders noted that cooperation in energy sector, especially the Turkmenistan-Afghanistan-Pakistan-India (TAPI) pipeline project, forms a key pillar of economic engagement between the two countries. They recognised that implementation of the TAPI project would have a transformational impact on trade between the two countries and decided to take measures for early implementation of this important regional project. They welcomed establishment of ‘TAPI Ltd’ as a Special Purpose Vehicle (SPV) in November 2014 in Ashgabat and acknowledged that it was a milestone in implementation of this strategic project. The Leaders reaffirmed their strong commitment towards timely implementation of this strategic project for the common benefit of peoples of the four countries and noted that the selection of the Consortium Leader for the project, to be finalized by 1 September 2015, would mark a crucial step in the early implementation of the project. The Leaders welcomed the enhanced bilateral cooperation in the field of chemicals and petrochemicals as well as the opening of “ONGC Videsh Ltd (OVL)” representative office in Turkmenistan. The Leaders further welcomed the signing of a Memorandum of Understanding between the State Concern “Turkmenhimiya” and Indian PSU Rashtriya Chemicals and Fertilizers Limited to provide a framework for long-term sourcing of urea from Turkmenistan. The Leaders also welcomed the Indian proposal to set up a urea production facility in Turkmenistan in collaboration with Turkmen entities and noted that such a proposal would expand the ambit of economic cooperation between the two countries. Prime Minister Narendra Modi informed that India’s state companies in the oil and gas sectors possess diverse expertise in the field of training, designing, construction, exploration and production, and invited Turkmen Companies to engage in long-term cooperation with these Indian firms. President of Turkmenistan Gurbanguly Berdimuhamedov welcomed the offer and acknowledged that India’s technical expertise could be of value in assisting Turkmenistan’s efforts to further develop its hydrocarbon and petrochemical sector. The Leaders reaffirmed their intention to work together in exploring alternative transport corridors for additional connectivity options between the two countries. The Leaders welcomed the first expert level meeting on connectivity between India and Turkmenistan in Delhi in June 2015 and agreed to continue the discussions and interactions under the framework of a JWG for exploring various connectivity options between India and Turkmenistan. The President of Turkmenistan welcomed India’s intention to join the Ashgabat Agreement. The Leaders acknowledged the significance of Turkmenistan as a gateway to other Central Asian countries and the Caspian region and agreed to support each other’s initiatives in enhancing transport corridors and infrastructure to facilitate movement of goods. President of Turkmenistan appreciated Government of India’s efforts in promoting International North South Transport Corridor (INSTC) for transportation of goods between India and Central Asia, including Turkmenistan and beyond and conveyed that Turkmenistan would consider becoming party to the above-mentioned Corridor. Prime Minister of the Republic of India Narendra Modi noted that the recently inaugurated Kazakhstan-Turkmenistan- Iran railway line could be a linked corridor of the INSTC to streamline movement of goods and commodities between India and Turkmenistan and beyond. The Leaders noted that the air connectivity between the two countries could to a certain extent overcome this natural barrier of the lack of direct surface connectivity between the two countries. In this context, they called for increasing frequency of flight operations between the two countries, including by offering fifth freedom rights for increased viability. The Leaders felt that the potential of direct flight connectivity between the two countries could be better utilized to encourage export of goods from India to Turkmenistan, and agreed to take necessary measures to encourage transportation of cargo through their airlines. The Leaders appreciated the role of Indian Technical and Economic Cooperation (ITEC) programme in capacity building and human resource development of Turkmen nationals and in creating a talented pool of professionals in Turkmenistan across various sectors to meet the developmental needs of the growing Turkmen economy. Prime Minister Narendra Modi conveyed India’s readiness to offer new training courses in sectors desired by Government of Turkmenistan. President of Turkmenistan welcomed this proposal. The Leaders welcomed the successful up-gradation of the India Turkmenistan Industrial Training Centre in Ashgabat with Indian assistance to provide continued advanced training to Turkmen nationals. The Leaders also welcomed the signing of the Programme of Cooperation in Science and Technology, which would provide added impetus for a framework for cooperation in this important area. The Leaders underlined that cultural exchanges have made an important and positive contribution to the development of comprehensive cooperation between the two countries and to deepening the bonds of friendship and mutual understanding between their peoples. The Leaders noted the recent successful Turkmen cultural festival in India in 2014 and Indian Council for Cultural Relations (ICCR) ‘Namaste Turkmenistan’ festival in various parts of Turkmenistan this year and called for similar events to be held in future as well. The Leaders called for finalizing of the Programme of Cooperation on Culture between the two countries. The Leaders also acknowledged the contribution made by the scholarships offered by Indian Centre for Cultural Relations (ICCR) to Turkmen students in forging stronger bonds at a popular level. The Leaders acknowledged the commencement of a new chapter in their cultural ties through the inauguration of a Centre of Yoga and Traditional Medicine in Ashgabat. The Leaders underscored the universal value of Yoga and its positive and holistic perspective on health. The Leaders acknowledged that the traditional medicine centre would help combine traditional medical knowledge and practices of India and Turkmenistan, which would benefit the people. Prime Minister Narendra Modi thanked President Gurbanguly Berdimuhamedov for his support in declaring June 21 as International Day of Yoga (IDY) at the United Nations and for the extensive celebrations of the first IDY in Ashgabat. The Leaders welcomed unveiling of a bust of Mahatma Gandhi in Ashgabat, further symbolizing the commitment of both sides to work together towards a peaceful world order. The Leaders agreed to work for the successful conduct of the 5th Asian Indoor and Martial Arts Games in Ashgabat in 2017, including within the Agreement in the field of Sports concluded during the visit. The Leaders reiterated their commitment to strengthen regional as well as multilateral cooperation, including through enhanced interaction in the United Nations and other regional and international organizations of which they are members. They underscored the importance of enhancing the role of the United Nations and its institutions as a universal instrument in addressing global issues and safeguarding sustainable development. Prime Minister Narendra Modi congratulated President of Turkmenistan Gurbanguly Berdimuhamedov and the Government of Turkmenistan on the 20th anniversary of adoption of Permanent Neutrality at the United Nations and noted that this policy had contributed to peace, development and stability in Turkmenistan and the region at large. The Leaders acknowledged the urgent need for reform of the United Nations Security Council in the context of strengthening and expanding the role of the United Nations in addressing the pressing contemporary challenges. The Sides will further strengthen cooperation in a multilateral format within the UN framework, maintain close interaction and coordination in order to create a favourable international environment for the development of the two countries. The Leaders reaffirmed their commitment to work closely on issues discussed and agreed during their official talks to ensure, through existing bilateral mechanisms and other means, concrete outcomes to forge a closer bilateral partnership in the days ahead. The Leaders agreed that the visit of Prime Minister Narendra Modi has helped consolidate and deepen the longstanding cordial relations between India and Turkmenistan, and in defining a framework for an enhanced mutually beneficial partnership between the countries.